This is the second time I’ve written this book…let me explain. In the 1980’s, on an 80-acre non-working ‘Lazy Rabbit Ranch’ in southeast Arizona near the ‘town too tough to die’, Tombstone, I began writing on a Starwriter 60 word processor my ‘Bailey Crane Mystery Series’. There were to be seven books in the series, with five inspired by trues events. At the ranch I completed three of the ‘BC Series’ (except for final editing), neatly put the manuscripts pages in boxes, and moved to Mexico’s Sea of Cortez. Stranger Abduction was Book 2 in the series. In my lovely Sea of Cortez digs, I finished the rest of the books in the series, pulled each manuscript from its dusty box, and started the final drafts and editing. The manuscripts had been stored in a shed at my daughter’s house in Las Vegas, Nevada. 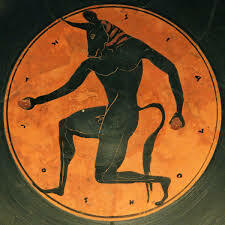 My son-in-law drove all the manuscripts down to me – sweet guy, but I was irked because Stranger Abduction was missing. My son-in-law went back to Las Vegas and could not find the manuscript… Thus ends the long piece of the story, but.not without reliving the frustration and anger I felt at losing that manuscript – we finally assumed it was lost in our move. Because each book in the ‘BC Series’ stood alone and was ready for publishing I forthwith took that action…hoping that one day I would by some stroke of luck and karmic event find the missing manuscript. I finally decided to write the book again with different plot angles but not as a ‘Bailey Crane Mystery’. Stranger Abduction was inspired by an actual mother/daughter abduction a few years before we moved to the Lazy Rabbit Ranch…in fact, that abduction took place within a few miles of our ranch. I believe, I hope that ‘mystery’ readers will enjoy the book which should be ready by late 2015 or early 2016. Cigarette smoke slowly swirls around the dimly lit and crowded room. The smell is mixed with spilled beer, bad whiskey, body odor, stale smoke, something nostalgically reminiscent of old Mexico. The men belch, burp and fart when the need comes. The few women of the night, old, young, short, tall, slender, fat, some rather lovely beneath their cheap glitter, are gaudy in their colorful dresses. That is as it should be in Aqua Prieta, Mexico. There is nothing new in this old room, tables gouged and scarred, chairs uncomfortable without padding. The bar is the only area of the big room that has an ornate finish, and the stools are padded – ripped here and there but padded. At a stained checker-cloth table in the corner of the Casa Orca Cantina three men sit talking. One is refilling the near empty mugs. Two of the men are from the United States, the other from Mexico’s resort cities along the Sea of Cortez. The US pair are mean-looking, swarthy, both with long oily dark hair, ruddy complexions and unshaven for many days, befitting the surroundings. The one called Eddie has a long diagonal scar on his forehead. The other man called Carl is younger and has a long bulbous nose. They are dressed in soiled sweatshirts, faded jeans, and well-worn sneakers. The short rotund Mexican man sits in stark contrast in his dark suit, mustache, and bald head. He is obviously a man of some power and respect in the Casa Orca Cantina and anywhere else he might be. He does cringe and wrinkle his brow when the crude denizens belch, burp, and fart. The Casa Orca is simply a convenient venue for the type of men with which he must deal. Aqua Prieta is not home to this dignified man of Mexico. He is from the Sea of Cortez cities that offer better cuisine, better manners, and more elegance. Yet, he actually enjoys these short visits to the underclass environments…here, Mexicali, Nogales, San Luis, Tijuana. There is much respect paid to a man of his stature in these border towns. The Mexican speaks. “My contacts tell me that you have been useful in delivering our products to your Denver, Colorado area. Are you pleased with the arrangement you now have with us?” He puffs his cigar and plumes the smoke upward. “Yeah, sure, we are pleased,” the ugly American with the forehead scar speaks as the man in charge. “Yes, we are aware.” The American stares sternly into the face of the Mexican. “Some of your terms we’re already aware, but please lay them out for us again.” He sips from his mug. “Who is ‘we’?” asks the man called Carl. “No, we have no problem,” says the man called Eddie. Sunday breaks with another sunny day in southeast Arizona, the long, wide Sulphur Springs Valley desert stretching out to the mountains east, west, north, and south to the Sierra Madres in old Mexico. It is the way of this Sunizona, Arizona community some forty-odd miles below Willcox, the heat and warm breezes bringing life to a lazy and slow pace for most inhabitants. The land is arid and without showy vegetation. There are only cactus, sand, gravel, sagebrush, and the tumbling tumble weeds crossing the roads for cars and trucks to dodge or splinter. To say the area is rural might not be enough, but it is beautiful and home to many who would not want it any other way. The valley farmers grow barley, corn, wheat, vegetables, turning the soil often to get maximum value from the land. Great pistachio orchards, bee colonies, Christmas tree farms are part of the valley landscape, and all around the large rotating watering systems provide the irrigation. The big farmers belong to a coop to smooth the operative marketing of the goods. Great herds of sheep and cattle co-exist here in the Sulphur Springs Valley and the sheered wool and meat are significant sources of income for many in the area. To the near west of this vast valley rise the rocky Dragoon Mountains and the well-known monument known as Cochise Stronghold. Tombstone, the ‘town too tough to die’, sets just over the Dragoons some fifty miles from Sunizona…conjuring up tales of Wyatt Earp, his brothers, bar room brawls, gun duels, and ‘the shootout at the OK Corral’. To the nearer east lies the Chiricahua Mountains and, farther north, the Dos Cabezas Mountains where Cochise and Geronimo roamed well over a century ago. Much of our cowboy/Indian history was written in this valley and among these rock and cavernous mountains. The people who live here love the tranquil way of life, at least, most of them. Some want more than this somnolent existence and move away to the big cities and towns that offer more in the way of diversity. Donna Pickering lives now in the East, has a lovely family and remembers well her home of youth here in Sunizona, her many brothers and sisters, her wonderful father and mother, and the crazy and wonderful memories of her young growing years on this quiet sun-filled prairie…the hikes around the ‘Stronghold’, Dos Cabezas, and the Chiricahua National Park. There is one memory from Sunday, May 23, 1993, that still lingers, haunts Donna and her family – a sleepy Sunday Sabbath afternoon with some dust devils playing touch and go on the desert floor, breezes touching bodies with warm caresses, lemonade under the trees. This is the backdrop for the story of that tragic and awful memory… Only this sun-scorched and storied land knows the actual events. While this tale gives a fictional account, there is some plausibility as to what could have happened. Some references here have viability, and, just perhaps, the story can offer an alternate truth. 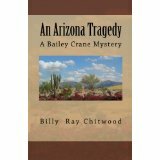 While waiting for Stranger Abduction why not read Book 1 of the ‘Bailey Crane Series’, An Arizona Tragedy Book 1, inspired by the actual brutal murder of a good friend of mine. The lovely actress and mother was missing for weeks and finally found in the desert northeast of Phoenix, ravaged by denizens and the relentless summer sun. Posted in Abduction, books, Crime, Writing. Tagged abduction, arizona, books, Cochise County, crime, daughter, deputy, love, Mexico, mother, mystery, police, romance, Southeast Arizona, stranger abduction, suspense, writing. Great prologue Billy Ray, and you know I’m a fan of prologues. Good to see you’re writing again! A great prologue and appetizer for the series. I have a very soft spot for Arizona since one of my first trips to the US took me there in 1998. Looking forward to the release!